Here’s iPhone X Vs iPhone 8 Vs iPhone 8 Plus battery life comparison, both according to Apple, and some leaked info. 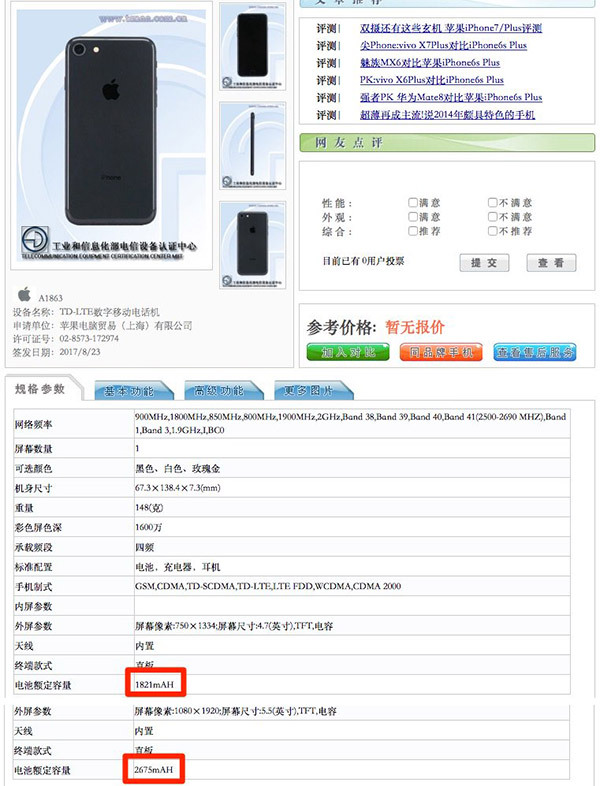 With pre-orders already live, Apple’s newly announced iPhone 8 and iPhone 8 Plus are set to go on sale next week, and when they do, they will ship with smaller batteries in mAh capacity compared to iPhone 7 and iPhone 7 Plus, according to information discovered via China’s official communications certification board, courtesy Steve H. of OnLeaks fame. According to the board, the iPhone 8 comes with a 1,821mAh battery, while the iPhone 8 Plus has a 2,675mAh battery. Those numbers actually represent a small reduction in battery capacity compared to the flagship models Apple currently sells. The iPhone 7 and iPhone 7 Plus feature 1,960mAh and 2,900mAh batteries, respectively and while the differences may not be huge, you may be forgiven for thinking that this change in capacity could lead to weaker battery performance for Apple’s new iPhones. 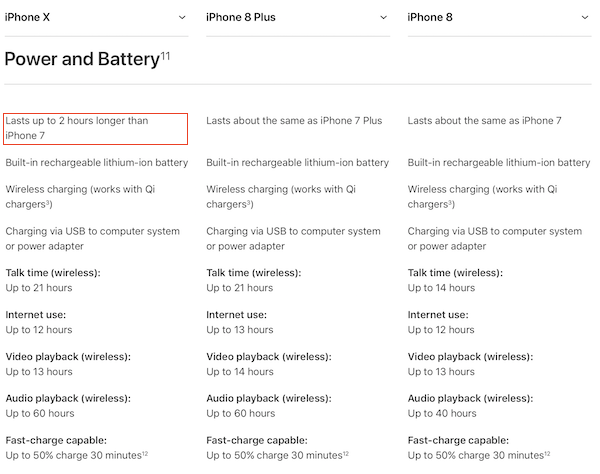 That, however, is not the case with Apple claiming the newer models will be capable of “about the same” battery life, despite the smaller capacity batteries inside them. As for iPhone X, while we don’t have exact battery capacity number in mAh for it as yet, Apple claims that its flagship iPhone X will be capable of lasting around two hours longer than today’s iPhone 7 on a single charge. The smaller batteries may be a necessity as Apple has to cram more hardware into the newer iPhones in order to make inductive charging a reality, and with the new A11 Bionic chip at the heart of the iPhone 8 and iPhone 8 Plus, it would appear some power usage savings have been made, which should allow for the phones to last for similar periods on a single charge when compared to 2016’s releases. Pakistan’s Leading Real Estate Marketing Company Offering Best Projects at affordable Prices. Can I buy a mountain in the Swat Valley? Awesome! Good lookin out! I think we can divide and multiply to get that 2 hour increase! That’s a really good idea! The US can buy an infested mountain range and then it is theirs to bomb the hell out of without all the judgement. ..They can put up a no trespassing sign if they want to tick all the boxes.